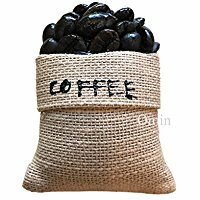 Cool looking refrigerator magnets that look like a burlap sack of coffee beans. The magnet package says they can hold up to 10 sheets of paper. A great unique gift idea for someone who loves coffee.